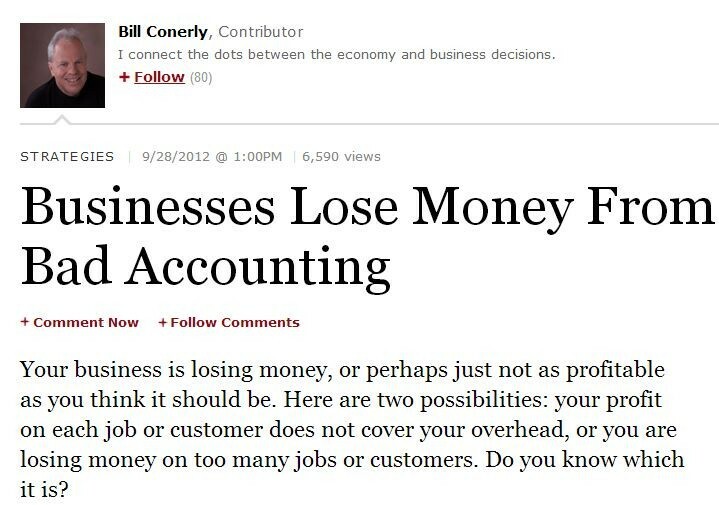 “Your business is losing money, or perhaps just not as profitable as you think it should be. Here are two possibilities: your profit on each job or customer does not cover your overhead, or you are losing money on too many jobs or customers. Do you know which it is? Unfortunately, accounting mistakes are far too common in medical offices. For instance, doctors often fail to keep track of their receivables— also known as patient payments— which are the lifeblood of any practice. Many doctors also neglect to keep their receipts, so they often find charges for things they don’t remember purchasing. On a similar note, they also forget to account for cash expenditures, which are harder to track than billed or invoiced costs. Given the nature of the work, however, minding these things is not always easy. After all, your primary concern is to provide top-notch care to your patients— not to crunch numbers. Without sound accounting, though, your beloved practice may soon go under. That’s why many doctors rely on medical accounting firms like MEDIQ Financial Services to help them keep tabs on their practice’s cash flow. These companies provide an array of accounting services, from tax return preparation, tax minimisation strategies, service trusts, and the like. With their help, doctors can know exactly how much they are earning and spending, allowing them to make better business decisions with regards to their practice. Indeed, being a private practitioner involves a fine balance between delivering excellent patient care and sustaining a successful business. Hence, sound financial planning for doctors— which includes accurate business accounting— is a must for a practice to thrive.